These are the steps to securely move your database from one server to a new one. Close all Lodgit Desk installations in your network. On your old server open the cubeSQLadmin App. Open the folder containing your Database in the Finder/Explorer an copy the file Lodgit Database.lxdb to your new computer. Install the cubeSQL server on your new computer. Start Lodgit Desk on this new computer (Lodgit Desk will start up with an error, that it is not able to connect to the database server. Ignore this error.) It will start up with an empty local database. 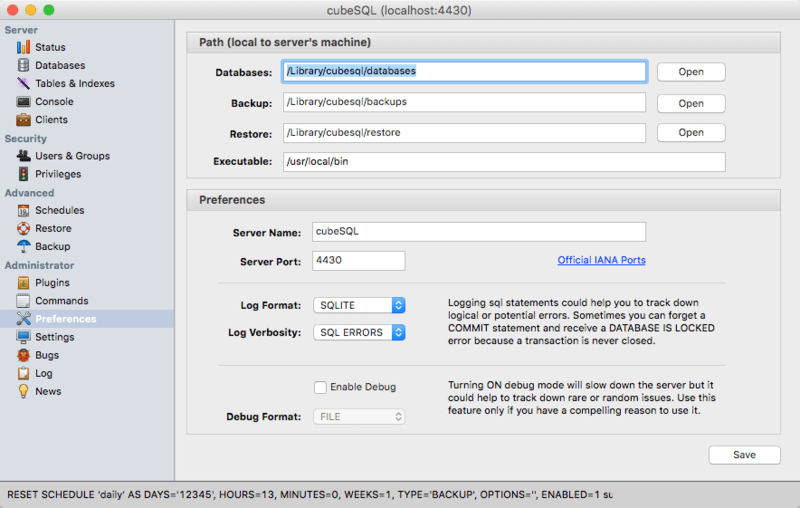 Click on File > Restore Database from backup and choose the Lodgit Desk.lxdb you got from your old server. Click on File > Connect to Database server. You will be notified, there is no Lodgit Database on the server, and whether you want to transfer your local database. Click Yes. Your database will start uploading to your new server. This might take a couple of minutes. You should now be able to connect your other installations to the new database server. Please heed that your new server most likely has another IP-Adress as the old one.